If you think you want to give your pet aspirin, think twice. There are some very compelling reasons to not give aspirin. As for aspirin in cats, forget about it. Cats do not tolerate many medicines well, and aspirin is one of them. In my humble opinion, the risks of using aspirin in cats far outweigh any possible benefit. There are practitioners out there with different opinions, but don't say I didn't warn you. Some veterinarians feel that aspirin is a safe drug to give to dogs. At least aspirin is not outright toxic to dogs like it can so easily be in cats. Aspirin can be used "safely" in dogs. Safely is in parentheses because safe is a relative thing. 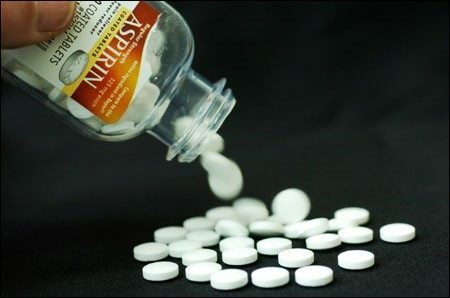 Aspirin is widely known for causing stomach upset in people who take it. That's why we have developed so many other drugs to replace aspirin. The biochemistry behind this is complex, but the short answer is that aspirin is very non-selective about what it does, and so aspirin's side-effects often outweigh it's benefits. "Buffered" aspirin and "enteric coated" aspirin are largely marketing fluff: Many of aspirin's adverse effects are a direct consequence of the drug's systemic actions, not it's local actions, and coatings or bufferings make little difference. 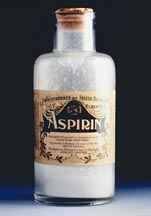 Aspirin is so widely know to cause stomach ulcers that there have been literally dozens of other drugs developed to take aspirin's place. Aspirin is also widely know to slow blood clotting. The only reason physicians prescribe aspirin today is for it's blood-thinning effects. It is for this reason that Aspirin should never under any circumstances be given to a dog that has been hit by a car. If there is any internal bleeding, even minor internal bleeding, aspirin will prevent the blood from clotting and your dog may very well bleed to death. Aspirin has been recommended in the past for arthritis treatment in dogs. While it does have good pain-killing properties, modern data show that it's side-effects can make it a poor choice in dogs. While a single dose may not be that bad, long-term use has a high risk of serious GI bleeding. The following is an abstract of a research paper done by M.E. Reimer et al of the Virginia College of Veterinary Medicine. The paper examines the effect of aspirin and two other drugs, carprofen (which is Rimadyl®) and etodolac (which is Etogesic®) on the stomach in dogs. Click the link to read the abstract or the full text version of this study. A bunch of 25 dogs was divided into three groups, and the inside of their stomachs were examined with an endoscope before any drugs were given. One group got aspirin, one group got Rimadyl, and the third group got Etogesic. The medication was started, and the dogs were scoped again after five days of treatment, after 14 days of treatment, and after 28 days of treatment. The dogs that got Rimadyl or Etogesic really showed minimal if any changes in their stomachs. ALL the dogs that got aspirin showed severe erosions (ulcers) and hemorrhage (bleeding) at the day-5 exam as well as the day 14 and day 28 exams. 2) There are lots better drugs for dogs than aspirin. Another good reason to not use Aspirin is that it doesn't play well with other drugs. If you start your dog on aspirin, we will be left with the choice of continuing aspirin therapy knowing that your dog is going to get stomach ulcers from it (see the above study), waiting several days to allow the aspirin to clear before starting other, safer anti-inflammatory medication, or starting the other medication immediately and running the increased risk of serious GI side-effects. And heaven forbid your dog needs to be started on steriods. Again, there are substantial risks of serious, even life-threatening GI adverse events when giving steroids to dogs on aspirin.